Children, obey your parents in the Lord, for this is right. “Honor your father and mother”—which is the first commandment with a promise—”that it may go well with you and that you may enjoy long life on the earth.” Fathers, do not exasperate your children; instead, bring them up in the training and instruction of the Lord. A happy home has a father that loves his wife as he loves himself (Ephesians 5:25, 28). He provides for the material well-being of the family (1 Timothy 5:8), and he also provides the spiritual training for the children (Ephesians 6:4; Proverbs 22:6). This involves correction and discipline (Proverbs 29:15, 17). His goal should be to govern his home well (1 Timothy 3:4-5). In a happy home the wife/mother also has her responsibilities. She is to be a virtuous and faithful wife (Proverbs 12:4; 31:10-30). She is to avoid a brawling and quarrelsome spirit (Proverbs 21:9). As she matures, she is to teach and train the younger women to love their husbands and children (Titus 2:3-5; 1 Timothy 5:14). It is also incumbent upon the children to recognize and carry out their God given responsibilities in order for the home to be all that it should be. 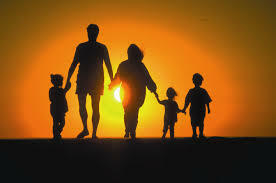 From the beginning children have been commanded by God to respect and obey their parents (Matthew 15:4; Exodus 20:12). In the ideal home a wise son or daughter will hear and heed the instruction of the father and mother (Proverbs 1:8; 3:1, 3). Paul states that this was the first command of God with promises attached to it—well-being and long life upon the earth (Ephesians 6:1-3).